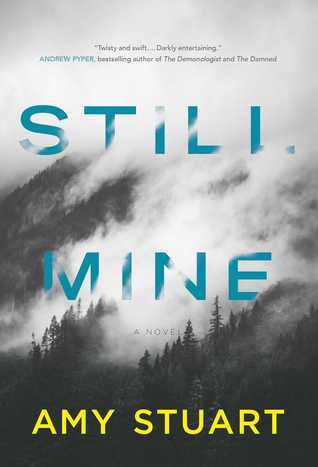 This week's teaser comes from Still Mine by Amy Stuart. I'm about 20% through this book and if I had to describe it in one word, I'd choose: INTENSE. Check this teaser out and you'll know what I mean. Note: Readers who are sensitive to books containing details of violence against women may not want to continue. Intense is an understatement! This sounds really good. I hope you are enjoying it! Reminds me of THOSE GIRLS by Chevy Stevens, sounds similar in this aspect. Ooh nice teaser! That's definitely an intense one! Totally new to me read! Thanks for visiting my blog! I had a feeling the book would be something like that because of the title. I love it. I agree. It sounds very intense. This week it is an historical romance - Luck Is No Lady by Amy Sandas - on my adult blog. Happy reading! Your Teaser definitely sounds intense. This book might be too scary for me. Oh wow. That's intense and then some. Definitely one I'd like to read. It appears she's being held against her will. I can only imagine how much worse it will get. He sounds nuts.